There is great hope that Spring is just around the corner! If only we could get the winter boom out of the way! Still, we can look ahead to warmer days, and days spent on the water. 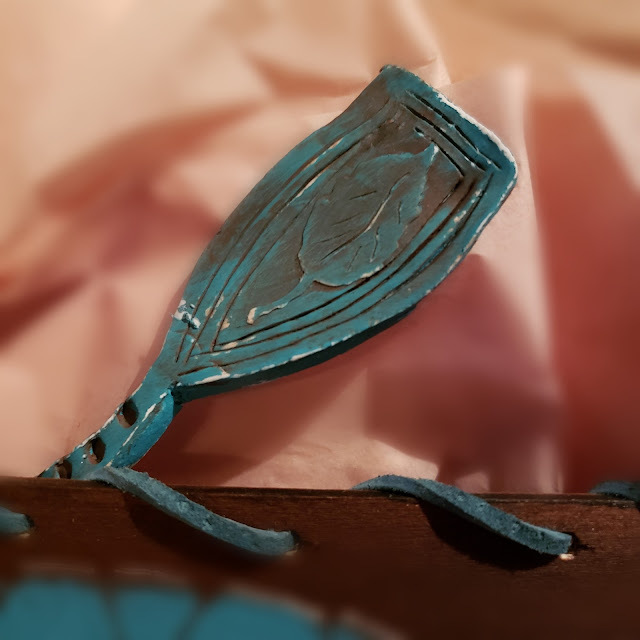 To celebrate that ever-inching possibility, I have created a canoe and paddle using basswood and some fabulous stencils. The canoe is a great gift for the canoe aficionado or the outdoorsman. But, hey, don't limit it to just the men in the household. Women are aficionados and outdoorsy, as well. Crop-a-dile or other hole punch that can go through wood. 1. 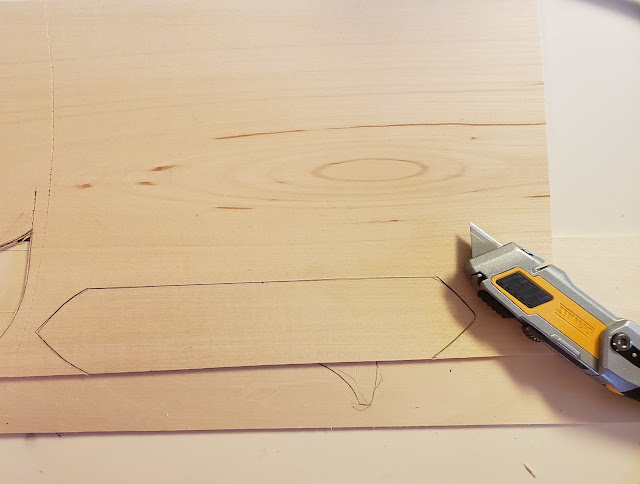 Start your project by drawing the sides and bottom of your canoe on the basswood. My version has 2 inch by 13 inch sides and a 1.5 inch by 9 inch bottom. 2. Lightly sand the edges so that they are smooth. 3. Mark where you want your holes for the leather insertion on the tops and edges of the canoe. Ensure that the holes are not too close to the edges to avoid forcing the edges to snap. Punch the holes. 4. 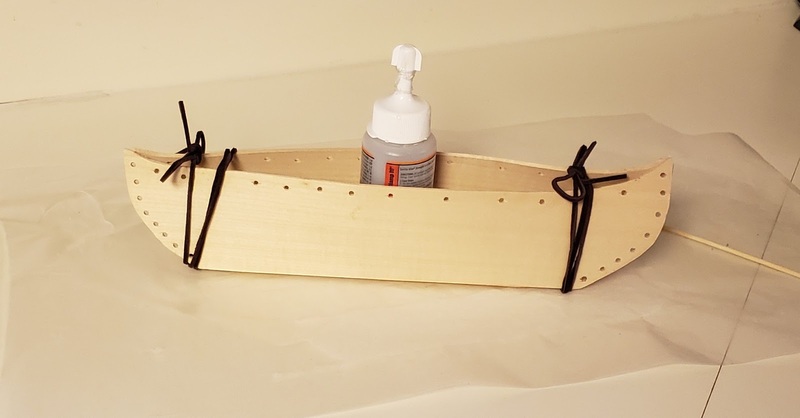 Glue the canoe together using Clear Gorilla Glue. I place a stapler on one side and a heavy item on the other side of the canoe side to keep the side in place while drying. Allow to dry at least 24 hours. 5. Soak the entire canoe in hot water so that the wood softens. 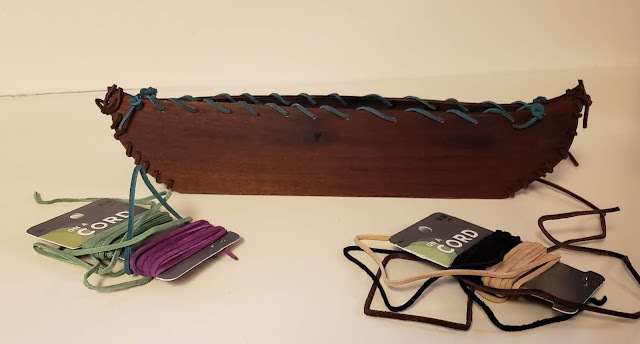 You can then tie some of the leather cord (in a color that you don’t like) around the ends and leave it to dry completely. 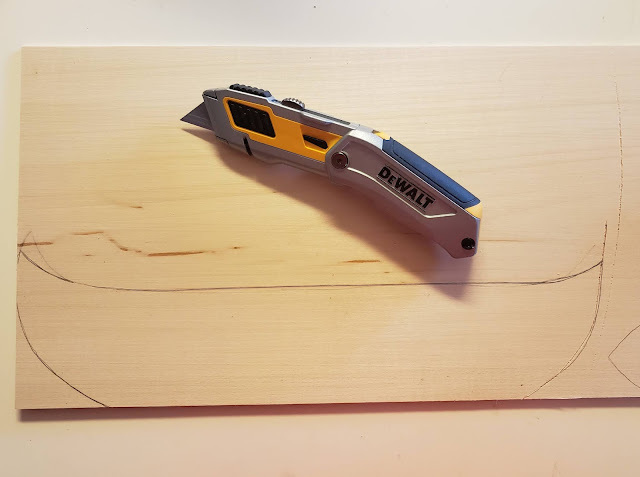 The canoe will be easier to shape that way. Be sure to put something in the middle of the canoe to help keep it open and rounded. I used glue bottles. 6. Remove the leather cord from the ends when the wood is completely dry. Depending on the type of wood stain you use, you will now either stain and then stencil on top of the stain (Rustoleum), or you will stencil and then stain (Minwax). Let dry completely. 8. Roll out enough air-dry clay to make the paddle. I suggest a piece about four inches long and one inch wide. Impress the small leaf from the ATC Mixup #2 stencil onto the bottom portion of the clay piece. Cut the paddle design out and allow to completely dry. Paint it to match the color that you used for the stencil design on the sides of the canoe. Conversely, you can paint it brown and fleck it with some patina embossing. When dry, glue the paddle in the canoe at one end or the other. 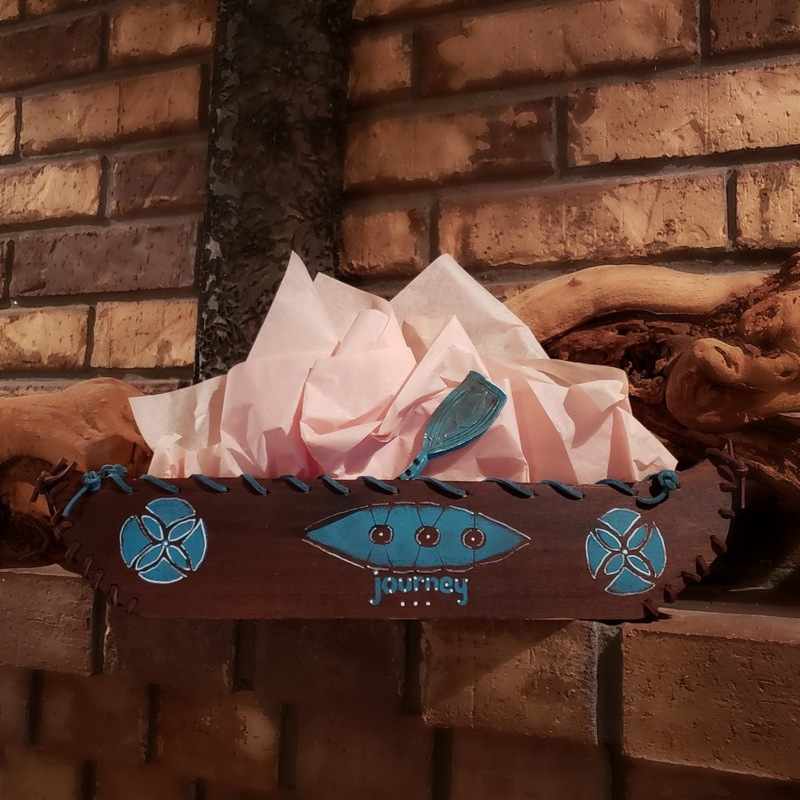 Now that you have the canoe all put together, place a complementary piece of tissue paper into the canoe and add some of your guy’s favorite candy, cookies, brownies or jerky. This is an excellent birthday, Father’s Day, or summer get-together gift. · You can change the design and color so that this same creation can be gifted to a female. Unicorn Spit would be great for this option! · A printout of plane tickets or vacation reservations can be rolled up and secured with a ribbon and placed inside the canoe. · Instead of the canoe paddle, you could add a leaf or feather. · Remember that although this is made from wood, it is very thin wood and can break. Handle with gentle hands. · For an added effect, emboss the bottom edge with embossing powder to give the canoe a “used in the water” effect. You can also emboss parts of the paddle for the same look. or email me at annemarie.mysticspring@gmail.com.